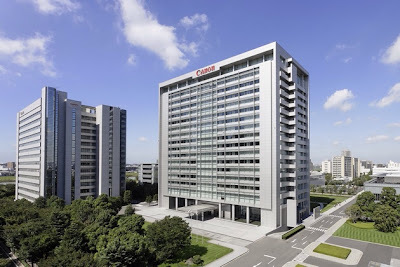 TOKYO, April 22, 2013 - Canon Inc. today announced that the company's interchangeable-lens digital cameras (digital SLR and compact-system cameras) have consistently maintained the No. 1 share worldwide in terms of volume within the interchangeable-lens digital camera market for the 10-year period from 2003 to 2012. In addition to the interchangeable lenses, Canon also develops its own key components—the CMOS image sensors and image processors—employed in the company's interchangeable-lens cameras, incorporating the most advanced of these technologies in its flagship EOS-1D series. By applying these technologies to other models as well, Canon has successfully created a powerful product lineup that effectively responds to the needs of a wide range of users, from professionals to entry-level users, which has enabled the company to maintain the top global share. In 2003, the dawn of digital SLR cameras, Canon introduced its breakthrough EOS Kiss Digital (EOS Digital Rebel or EOS 300D Digital in other regions), a compact and lightweight user-friendly camera that set the stage for growth in the digital SLR market while, at the same time, captured the top share of the global market. Since that time, Canon, in the company's ongoing pursuit of high image quality, has launched a number of models targeting advanced-amateur users that offer among the highest levels of performance for their class, including the EOS 5D series, which paved the way for digital SLR video recording. In 2012, Canon celebrated the 25th anniversary of the introduction of the EOS system and marked its 10th consecutive year as the market's world leader. During the year, Canon launched the compact-system EOS M, aimed at expanding the company's entry-level user base, along with the EOS 6D, the world's smallest and lightest digital SLR camera equipped with a 35 mm full-frame CMOS sensor, which contributed to the growth of the advanced-amateur user segment. This year, Canon introduced the EOS Kiss X7 (EOS Rebel SL1 or EOS 100D in other regions), the world's smallest and lightest digital SLR camera equipped with an APS-C-size sensor, bolstering its product lineup with a model befitting the industry's top brand while targeting its 11th straight year as the world's market leader.